Last July 9, I said yes to a Parachute bag media launch held at Just Thai. 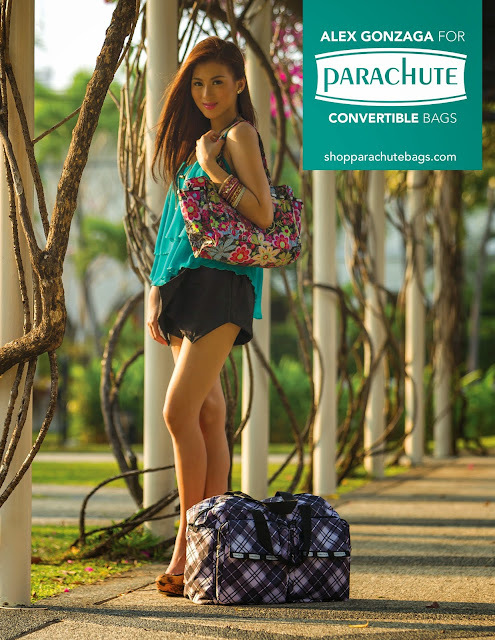 Parachute bags are made from the same lightweight, heavy-duty and water-resistant material that parachutes are built from, hence its name. The owner herself, Ms. Rossana Hwang, guided us through its product lines. We watched in amazement as how each convertible bag type transforms into different styles by unzipping to reveal more room, reversing a slip cover or adding a strap or two. 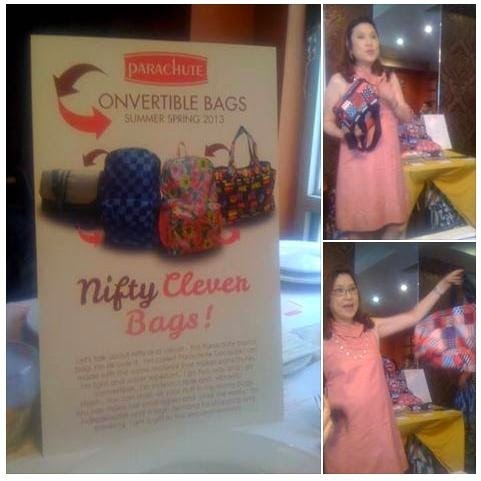 There are bags with reversible sides which is a welcome option for businesswomen. Reversing would give the look of an entirely new bag without investing on a new one plus it would be less time consuming than changing purses. One may opt to convert it back for a snug fit. 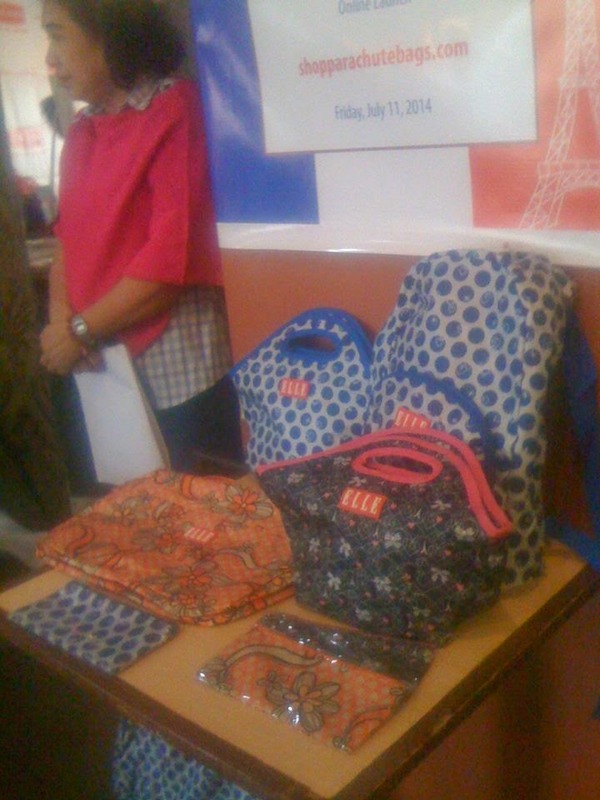 The Elle girl bag line was also introduced later on. This chic line is made in the French tradition of high fashion and quality yet at affordable prices. The new Elle girl bag collection includes shoulder bag, backpack, lunch bag, roller backpack, roller duffle bag, pencil pouch in three pattern collections that are perfect for young mademoiselles! 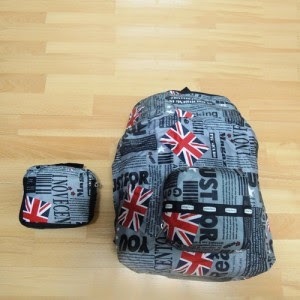 You may purchase directly from http://shopparachutebags.com/ for bags that suit your style and function. It is also available on e-commerce sites like zalora.com and lazada.com plus in selected stores that include Rustans Department Stores, Robinson’s Department Store (Galleria and Filinvest), Metro Gaisano (Market Market and Colon), Lee Plaza Dumaguete City, Felcris Davao, Gaisano Cagayan etc.